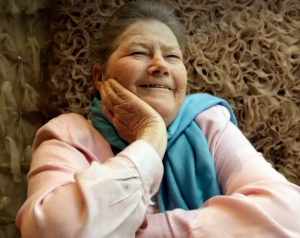 Acclaimed Australian author Colleen McCullough left her entire estate to her husband Ric Robinson, the NSW Supreme Court has ruled at the end of a costly and bitter dispute over her multimillion-dollar estate. In a judgment delivered on Friday, Justice Nigel Rein found a July 2014 will in which McCullough named the University of Oklahoma Foundation as her sole beneficiary was “not her last will and testament”. He said the will, made at the Hilton hotel in Sydney, was revoked by two documents signed or initialled by the author on October 24, 2014, which left her estate to Mr Robinson. Justice Rein arrived at this conclusion while finding Mr Robinson was not a “wholly reliable witness”. The legal battle was characterised by wildly conflicting evidence and emotions ran high over the course of the eight-day hearing, which concluded in early June. Justice Rein described the dispute as a “most unusual case” and said if “the track of the truth in this matter is to be found, it is narrow and poorly lit”. His ruling is a blow to McCullough’s close friend and executor Selwa Anthony, who launched proceedings in the Supreme Court to uphold the validity of the so-called Oklahoma will. Ms Anthony told the court McCullough cut Mr Robinson out of her will in July 2014, shortly before her death on Norfolk Island on January 29, 2015, after finding out her husband had “taken a mistress” and “spent all the money”. Ms Anthony accused Mr Robinson of taking advantage of his wife’s ill health to change her will. Mr Robinson vehemently denied the claims and the court found Ms Anthony had not established Mr Robinson coerced his wife into signing the documents. At stake was a multimillion-dollar estate ranging from McCullough’s art collection to royalties from her 1977 hit The Thorn Birds and other books, plus an estimated $2.1 million in real estate and cash. But the couple had also racked up a series of debts. Justice Rein found there were aspects of Mr Robinson’s evidence that seemed implausible, including the “rather unlikely” claim that McCullough encouraged him to take a mistress. Both sides of the dispute agreed the marriage between McCullough and the financially-dependent Mr Robinson, 13 years her junior, was at crisis point by mid-2014. The court heard McCullough called the Norfolk Island police to the couple’s property, Out Yenna, on June 24, 2014, and told her husband it was because she was “afraid” of him. He moved out briefly but the pair had reconciled by July 17. Justice Rein said that by October 2014 the marriage “was not so acrimonious as to necessarily preclude as a possibility that Colleen would decide to reinstate Ric … as the sole beneficiary of her estate”. He said the need for the litigation was “caused by” Piria Coleman, the solicitor who drafted the Oklahoma will and “failed to prepare a fresh will in the usual fashion” in accordance with McCullough’s instructions. Ms Coleman gave extraordinary evidence that she drafted documents in 2014 and in January 2015 to “placate” Mr Robinson and “protect” McCullough by making him believe he would inherit his wife’s fortune when he had in fact been disinherited. Justice Rein rejected that evidence. He said Ms Coleman “may have come to feel that Colleen was unwise or Ric not deserving enough for Colleen’s change of heart or both” but she had not acted in accordance with Ms McCullough’s wishes, which was a “most serious breach of her obligations to Colleen as her solicitor”. Justice Rein ordered each side to bear their own costs.